Kitty & Co + a GIVEAWAY FOR THE GIRLS (NOW CLOSED)! - Live It. Do It. Kitty & Co + a GIVEAWAY FOR THE GIRLS (NOW CLOSED)! WOO HOO! How cool is this bag??? So bright! So fun! So summer! I only just stumbled upon the kitty & co store last week and I was in love! This summer is full of colour and Kitty & co sure know how to bring it in the most beautiful Genuine patent cow leather accessories. This bag is awesome because not only does it look amazing but it is the perfect size for running about while still being able to fit all the very important mummy necessities in. Being not too big and definitely not too small, it’s a great one for going to the park, shops, and out with friends. And have you seen that is in BRIGHT YELLOW?? Well that is striking and awesome in itself! I guarantee you, with this bag in hand, someone is bound to ask you where you got it! About kitty & co.: Catherine; the creator of Kitty & Co is a mum of 2 that has always had a possibly unhealthy attraction to shiny and colourful things and found that she was always drawn to patent leather bags and shoes in bright colours at any store that featured them. She finds that adding colour through accessories is also the easiest way to dress for work or play…or the park. The other thing that is important to Catherine in a bag is that it is classic, relaxed and functional – nothing too fancy. 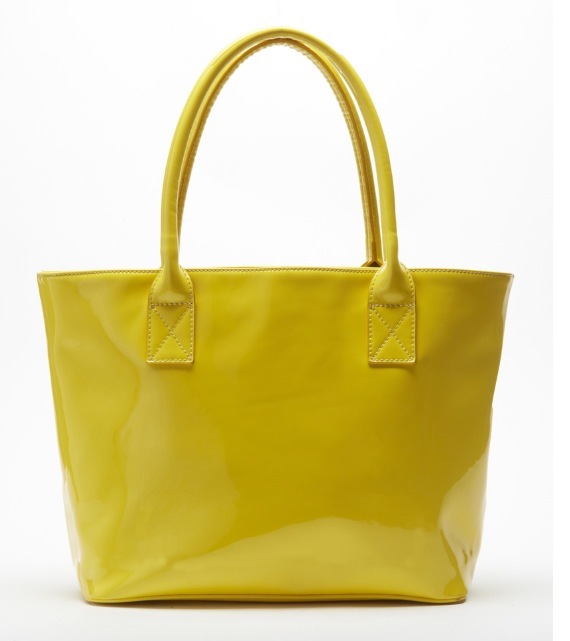 So, after being unable to fill her patent addiction at any time of the year and at a reasonable price, the idea to design bright and playful, genuine patent leather handbags and wallets was set in motion. 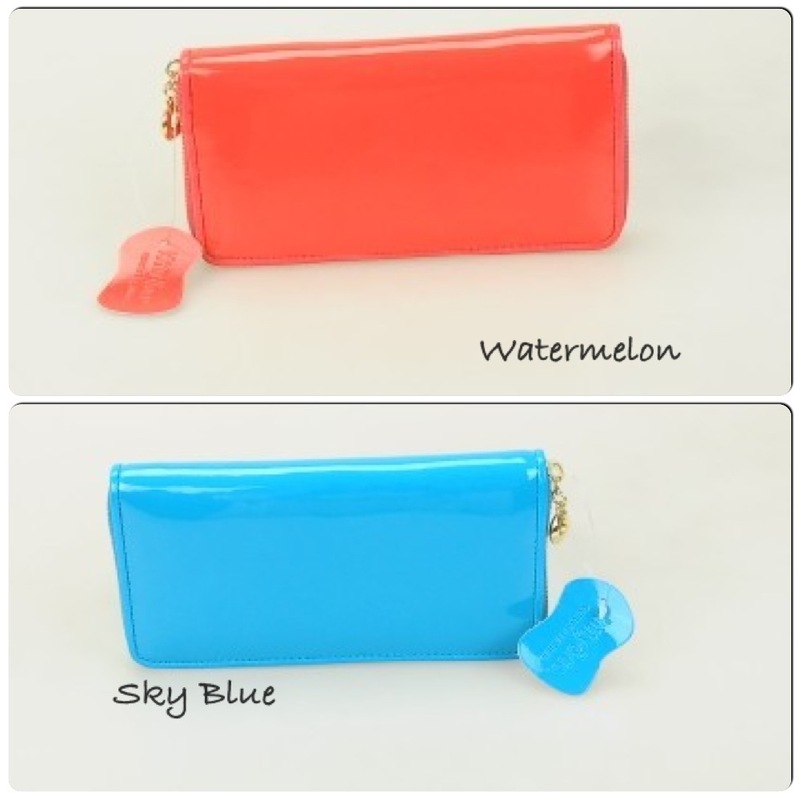 Bright, bold colours and effortless, classic styles are the hallmarks of kitty & co. accessories. Kitty & Co is a very young brand and available online at kittyandco.com.au as well as a couple of online boutiques. 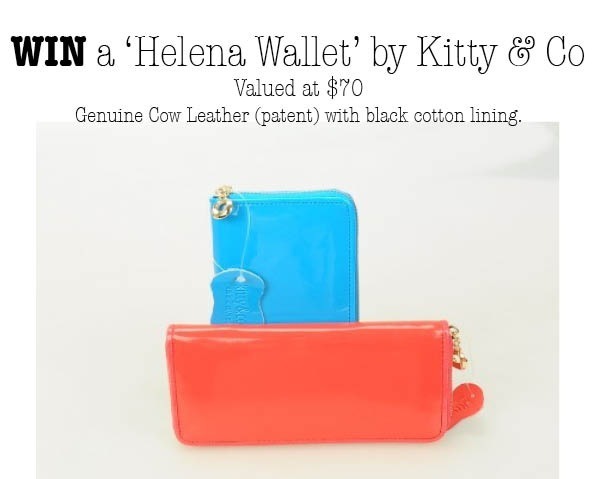 The beautiful team at Kitty & Co want to bring more colour into your summer so are offering two lucky readers of Choose life, live it, do it the chance to win a ‘ Helena Wallet’ pictured. Material: Genuine cow leather (patent) with black cotton lining. To enter simply be a follower of Choose life, live it do it blog and leave a comment below telling me which Colour Kitty & Co Helena Wallet you would like to win. Leave a comment for each! Winners are Jaqui Porter and Susie Terner! YAY! Email me with your postal address so i can get yout prize to you asap! ENJOY!